been used since (correlation between the two assays: 0.984). seen in pts treated with TNF-Is or cDMARDs. leads to a reduction of ACPA levels, which is not seen with TNF inhibitors. Disclosure: E. Alemao, Bristol-Myers Squibb, 3,Bristol-Myers Squibb, 1; K. Gandhi, Bristol-Myers Squibb, 1,Bristol-Myers Squibb, 3; C. Iannaccone, None; M. Frits, None; J. Coblyn, None; N. Shadick, Amgen, Questcor, Crescendo Biosciences, UCB, Bristol-Myers Squibb, 2; M. Weinblatt, Amgen, Abbvie, Bristol-Myers Squibb, Lilly, Novartis, Merck, Pfizer, Roche, Crescendo, Myriad Genetics, UCB, 5,Bristol-Myers Squibb, Myriad Genetics, UCB, 2. Alemao E, Gandhi K, Iannaccone C, Frits M, Coblyn J, Shadick N, Weinblatt M. Evaluation of the Impact of Disease-Modifying Antirheumatic Drugs on Anti-Cyclic Citrullinated Peptide Autoantibody Levels in Clinical Practice [abstract]. Arthritis Rheumatol. 2015; 67 (suppl 10). 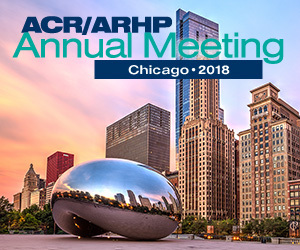 https://acrabstracts.org/abstract/evaluation-of-the-impact-of-disease-modifying-antirheumatic-drugs-on-anti-cyclic-citrullinated-peptide-autoantibody-levels-in-clinical-practice/. Accessed April 18, 2019.